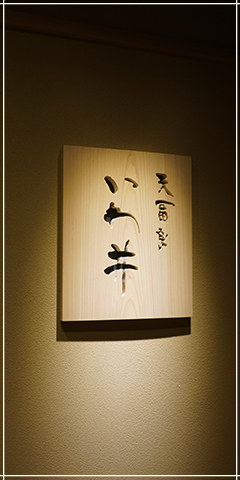 It’s 17 years since Tempura IWAI opened at Sukiya-bashi(Ginza 6-chome) on November 1998. And now, we just moved to Ginza 7-chome on SONY St. and took a step toward a next stage after a complete remodeling. We have pursued ‘a sincere taste’ consistently from the opening, and it has never changed. Please enjoy the taste according to the season on the counter table of plain wood.